How long could plastic stay in turtles? We are already all too familiar with the interaction between plastics and sea turtles, but a new study has provided additional information about the interactions between plastics in turtles. Researchers from Germany and Australia have looked at what happens to different types of plastic bags as they are passed through the digestive tract of a both green and loggerhead sea turtles. The scientists were particularly interested in noting the differences in degradation (if any) between the standard grocery store plastic bag, the degradable plastic bag, and the biodegradable plastic bag. No turtles were harmed in the experiment, since the digestive fluids were taken from recently deceased loggerhead and green turtles. Not surprising, the standard plastic bag and the degradable plastic bag underwent no significant change. There were high hopes that the biodegradable bag would be significantly broken down, as the manufactures claim when composted the bags break down in only 49 days. After 49 days in the gastric fluids of green and loggerhead turtles, the biodegradable bags had barely broken down at all, in some cases as little as 3% in the loggerhead. The green turtles fluids did a slightly better job of digesting the biodegradable material (9%), probably due to their herbivore diet, allowing them to more efficiently break down cellulose. Over 177 marine species have been recorded to ingest man-made plastics, including 86% of sea turtles. Due to the presence of papillae lining their esophagus, it makes it almost impossible for the turtles to regurgitate the bags leading to gut impactions and perforations. 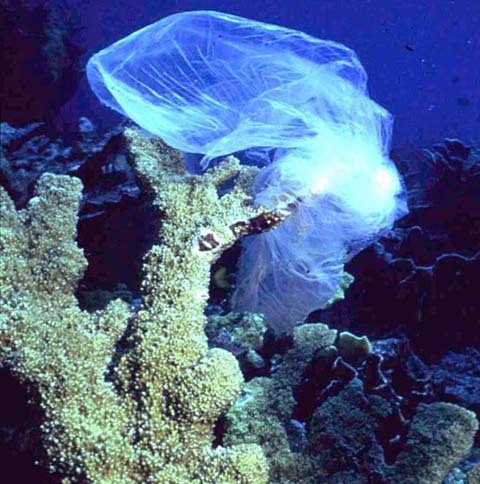 These sobering results, published by Muller C. et al in Science of the Total Environment further demonstrate that all bags pose significant risk to marine life.